ProGrip MX 3190 Helmet. Colour: Fluorescent Yellow Size: Large (59-60) Material: High Strength ABS W..
ProGrip MX 3190 Helmet. 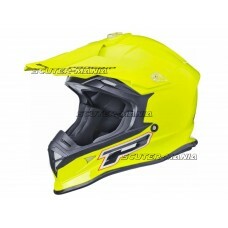 Colour: Fluorescent Yellow Size: Small (55-56) Material: High Strength ABS W..
ProGrip MX 3190 Helmet. Colour: Fluorescent Yellow Size: XL (61-62) Material: High Strength ABS Weig..
ProGrip MX 3190 Helmet. Colour: Matt Black Size: Medium (57-58) Material: High Strength ABS Weight: ..
ProGrip MX 3190 Helmet. 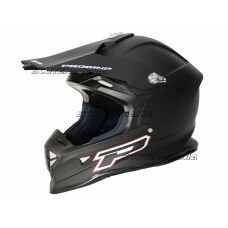 Colour: Matt Black Size: Small (55-56) Material: High Strength ABS Weight: 1..
ProGrip MX 3190 Helmet. Colour: Matt Black Size: XL (61-62) Material: High Strength ABS Weight: 1350..
ProGrip MX 3190 Helmet. Colour: White Size: Large (59-60) Material: High Strength ABS Weight: 1350 g..
ProGrip MX 3190 Helmet. Colour: White Size: Medium (57-58) Material: High Strength ABS Weight: 1350 ..
ProGrip MX 3190 Helmet. Colour: White Size: Small (55-56) Material: High Strength ABS Weight: 1350 g..
ProGrip MX 3190 Helmet. Colour: White Size: XL (61-62) Material: High Strength ABS Weight: 1350 gr +..
ProGrip MX 3190 Helmet. Colour: White Size: XXL (63-64) Material: High Strength ABS Weight: 1350 gr ..